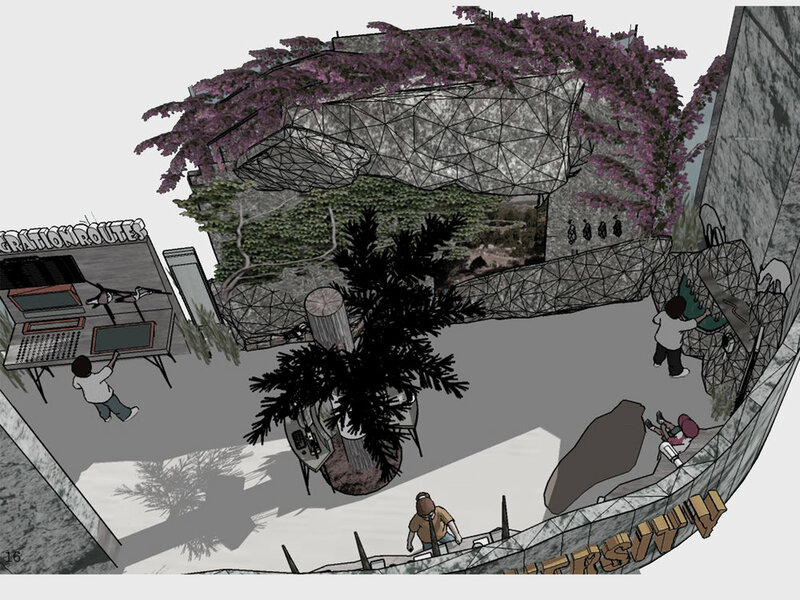 Basel Naouri was commissioned to transform an existing space in the Children’s Museum of Jordan into the Biodiversity Exhibit, a multisensory learning experience about biodiversity in Jordan. 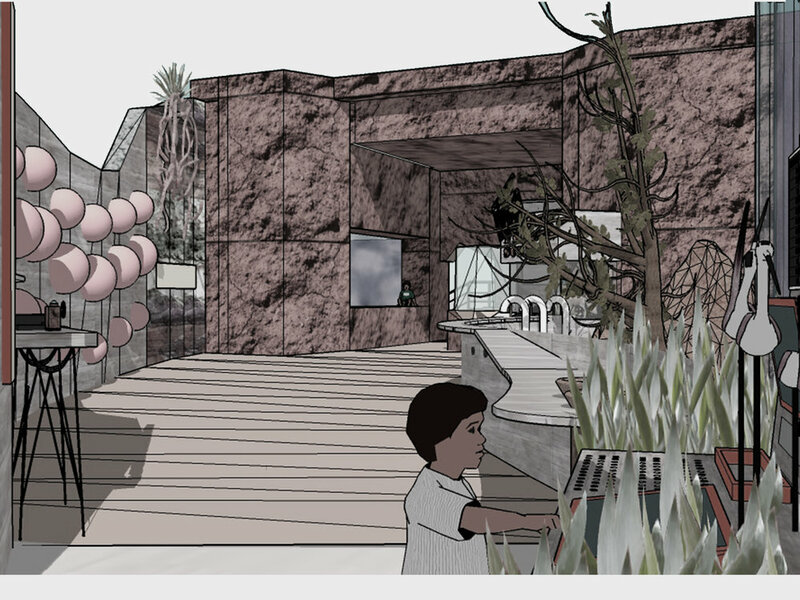 The exhibit, a collaboration between the Children’s Museum and Royal Society for the Conservation of Nature in Jordan, combines science, education, design solutions and aesthetics. The exhibit takes visitors on a journey through four zones: the forest, which displays the plants and animals found in Jordan’s forests; the desert, which is composed of the desert’s rich hidden treasures; the transitional zone that emphasizes the general themes that bind Jordan’s natural landscape together; and a demonstration area where children learn about certain topics through interacting with facilitators from the museum. The incorporation of sound, light, texture and scent throughout the entire exhibit was a main driving force behind each separate element from within it, providing the children with the chance to learn through an interactive and observational multisensory experience. The official purpose of the project was to spread awareness about biodiversity in Jordan and the shared responsibility to protect our ecosystem. For me, it was an opportunity to materialize the connection we feel with the natural environment - the whiff of a fresh breeze while walking in a forest or up a mountain and the heaviness of heat as you trek through the desert. 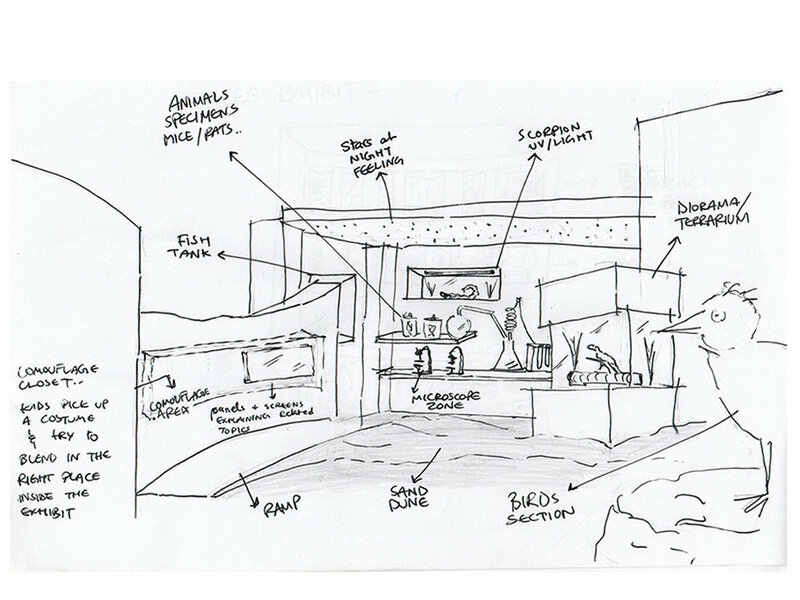 One of my priorities in designing the exhibit and part of its magic is its ability to communicate with all of our senses. Along with a team of educators and specialists, I created a design to teach children about the relationship between the various life forms that make up Jordan’s diverse and unique natural environment by taking them on a multisensory journey through nature. My role in the team of four (two educators and one exhibit maintenance supervisor) was to design the exhibit space, the user experience and the individual sections of the exhibit. I was tasked with designing a new plan for the space that would reuse as much as possible of the existing area, define a new circulation route through the form of a narrative, and ensure that my design reflects the optimal and most strategic use of this space.